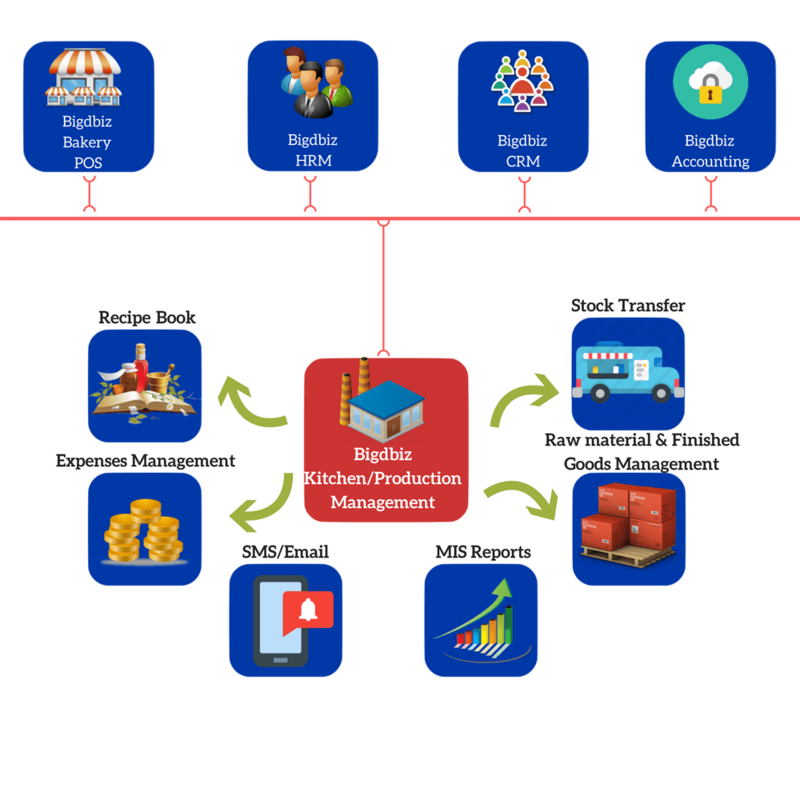 Our System simplifies everything from reporting, inventory management, employee scheduling, and POS Intelligence to recipe management. Desktop-based / Cloud-based anywhere, any device access makes daily tasks easier, simpler and faster for everyone from small independents to large corporate franchise restaurant groups. 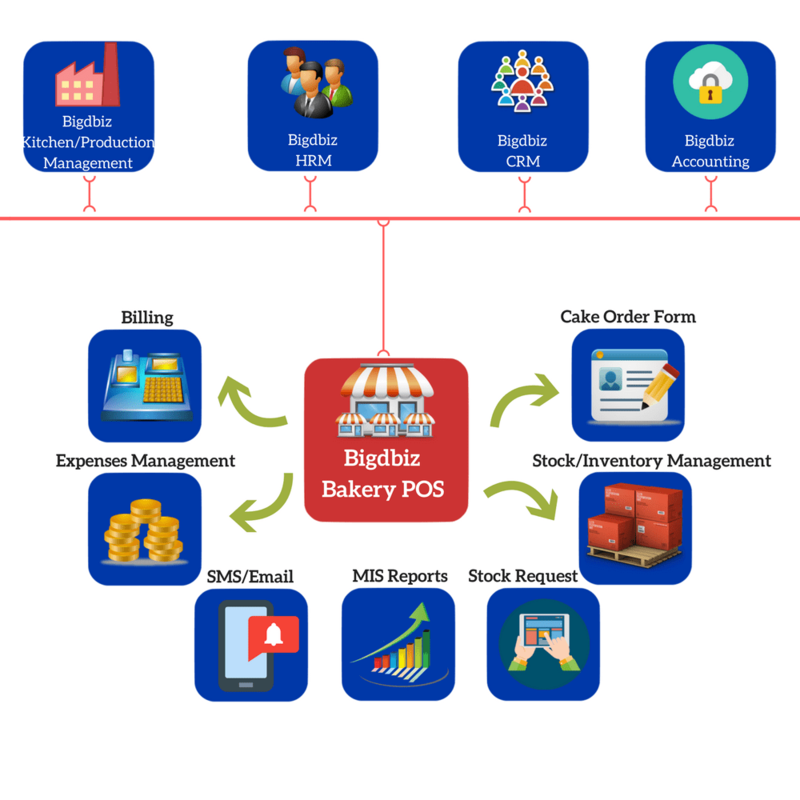 Regardless of the size of your bakery or the number of locations you have, you can use bakery management software to meet your processing, distribution, and accounting needs. The features Bigdbiz will provide that will make your operations smooth. 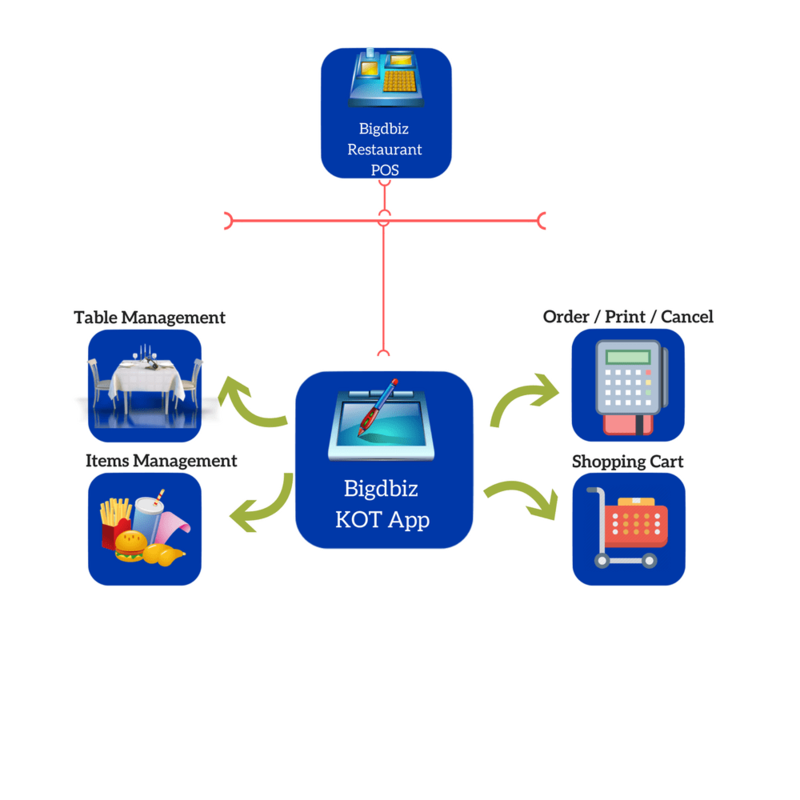 Bigdbiz lets you accept Advance Orders from your customers. Set reminders for the delivery date and time so that you don’t miss out on any orders. Create a special connect with your customers by sending them customized greetings on their birthdays and anniversaries. Serve only the freshest and the best items to your customers. Bigdbiz’s Shelf Life Management feature ensures that the perishable items in the stock are sold within the expiration date. 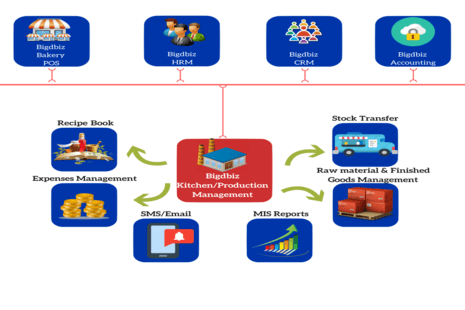 Manage the stock requirements of multiple outlets through Centralized Production Management. Get a better control on the items baked, delivered, and wasted until the finished product is out for sale. View in-depth reports about the total sales happening at your Bakery. View hourly sales reports, item-wise reports etc to get a better grasp of your bakery business. The Receipe Book Maintanance and execution allows you to retain the quality of your bakery products. The comparison of estimated output and actual output defines the efficiency of chef and find out reason for variation. Being at one place you can manage and track the function of Branch. Can control even when yo are remote from the location by the web-based feature. You can control the business with Mobile/Tablet/Laptop from anywhere. The one most important success in a business is, to get feedback reaching right persons. 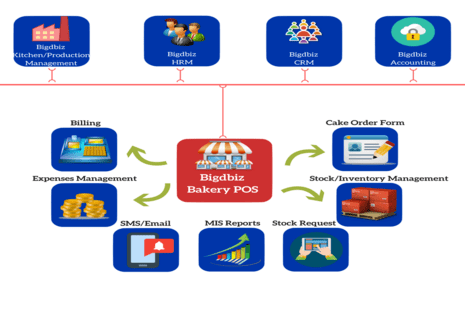 In this way, Bigdbiz Bakery Management System receive and store feedback of customers and reach the related person directly. Even by Email. You can control the business with Mobile/Tablet/Laptop from anywhere.